Gloves can be a tricky topic. Because of changes in weather, activity level, variance in the tasks we need to accomplish, personal preference and even personal health issues (like Raynaud’s disease) there is no one glove that simply checks all the boxes. As a two foot traveller, you may spend all day, or even multiple days, out in the winter weather. As is the case with all your extremities, your hands can be quite vulnerable to the cold, and it can get pretty uncomfortable, even painful, if you’re not prepared. 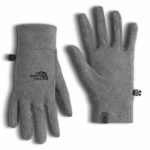 So let’s prepare by discussing some of the best gloves for winter hiking and how to wear them. if you haven’t heard, layering is pretty much ingrained into every aspect of outdoor apparel. Or at least it should be. If you’re not layering, there’s a good chance you’re doing it wrong. The same goes for gloves. Systems, as opposed to just one pair of gloves, are versatile, and able to handle any situation from chilly to below freezing. A glove system should be based on having three glove layers. These layers are no different from basic WISE layering practices and consists of a liner glove (wicking layer), an insulating layer, and an overmitt or shell layer. We’ll discuss all three layers in detail, however, depending on the environment where you’re hiking and your own body you may not need to carry all three layers all the time. A liner glove is worn right next to your skin. This is your wicking layer and needs to be both lightweight and breathable. Your liner glove should be made from a material that can vent heat and perspiration. Some good liner materials include merino wool, nylon, polyester, or Gore-tex. You want to try to keep this glove as dry as possible and may need to bring a couple of pairs so you can change into dry ones if the need arises. I prefer to use gloves, as opposed to mitts when it comes to liners because it preserves the dexterity of your fingers without having to take off your last line of defense against the cold. This is a great lightweight liner glove that stretches to fit perfectly to your hand and features finger grips. There are specific versions for men and women available. They are wind resistant and moisture wicking and weigh only 1.6 oz! Check them out here. These gloves are pricier than the Marmot Power Stretch, but Outdoor Research is known for extremely high-quality products! What’s more, the Versaliner gloves are more than just a liner, they also include a removable waterproof shell! Liner and shell together only weigh 2.8 ounces. If the conditions are not too cold, this could be the only glove you need. They also have a heat pack pocket if you need to up the warmth. Amazon often has discounts, otherwise, we didn’t find any significant price difference between retailers. Be aware that there are both men’s and women’s versions of this glove as well. Smartwool liner gloves like these are always a great choice. Merino wool is a wonderful material because of its warmth, softness, and natural wicking capabilities. These are also a relatively inexpensive option! Possumdown blends merino wool with the unique fur of brushtail possums. Each brushtail possum fur is minuscule but contains a hollow center. This gives the fibers a pocket of air that, through the same principles of duck or goose down, increases the insulating capabilities exponentially! 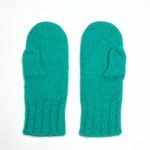 These gloves are pricier, but they are warmer than straight merino wool, as well as lighter and more water resistant. Plus they come in all sorts of fun colors! Purchase them here. The insulating layer is the down jacket of your hands. Think about how much warmer you feel when you’re wearing a down jacket underneath your waterproof shell as opposed to just wearing the shell. It’s the same for your hands. Put on your insulating gloves when it gets colder, wetter, windier, or when you stop for a break so you’re not being kept as warm from your physical activity. There are two ways you can go about this. You can either use a waterproof mid-layer which will help you avoid needing a final shell layer unless absolutely necessary, or you can use a non-waterproof insulator which will keep your hands from getting too sweaty. If you expect conditions to be very wet, but not ridiculously cold it may be a good idea to go with a waterproof mid-glove. But, if your hands sweat a lot and you don’t want to carry tons of extra sets of liner gloves. Don’t use a waterproof insulating glove! Save the waterproofing for your overmitt. These gloves are made of fleece which is many hikers insulation of choice. The fleece is windproof, not waterproof but dries quickly. The palms are made of goat leather for a good grip and the pointer finger and thumb are smartphone compatible! 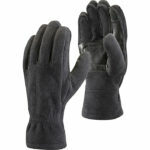 The best price for these gloves can usually be found on Moosejaw, for up to $10 less than some other retailers. As an added bonus it ships for free and you get a few reward dollars. Boiled wool is a cool concept. You can get any pair of 100% wool gloves, boil them in water and then let them cool down to the point where you can put them on. Let them dry the rest of the way while you’re wearing them. The wool will shrink as it dries and conforms perfectly to your hands! The shrunken wool is compressed and knit more tightly together which makes it quite a bit warmer. If you don’t want to do this yourself you can buy a quality pair like these Dachstein Austrian boiled wool gloves or mittens. But it’ll be pricier than boiling at home. These gloves are totally waterproof and windproof, yet still breathable. The fingers are pre-curved to give you increased dexterity. They’re also smartphone compatible! The prices for the Sealskinz gloves are all across the board for different retailers. Prices are constantly changing but you can always find discounts on Amazon, sometimes half the price compared to some other retailers! 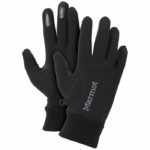 This is a great insulating glove that also has moisture wicking capabilities to keep your hands dry even when you sweat. They are also super light and a great price, so it’s easy to pack multiple pairs if need be. There are different versions designed specifically for men and women which means the glove may fit you better than a unisex glove. The one drawback is that they are not smartphone compatible. Retailer prices were all basically the same for these gloves. Check them out here! This is your final line of defense against the cold. 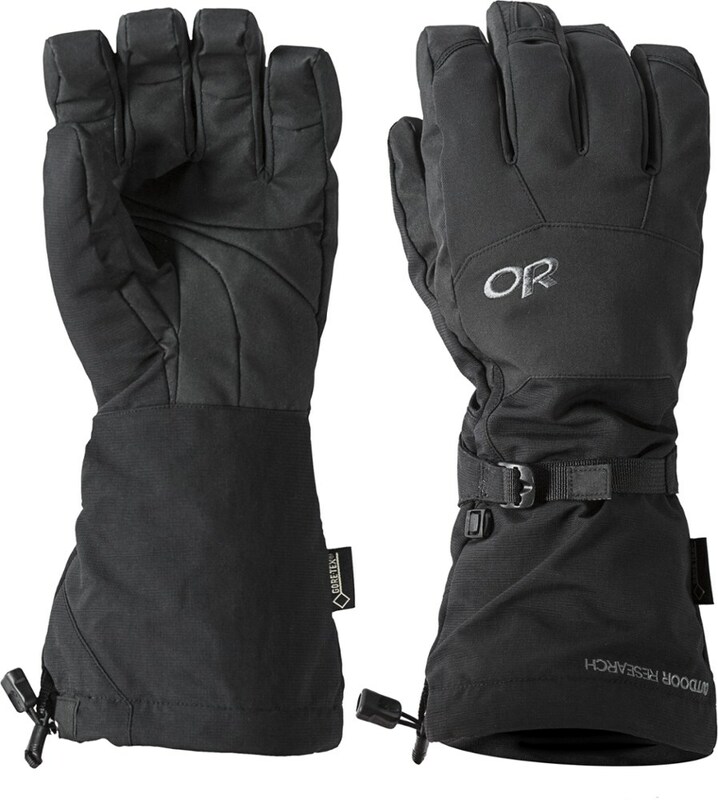 These gloves should be oversized, to accommodate the other layers underneath them, as well as waterproof. As an added bonus, many of these shell layers or over mitts come with an insulating layer as well. 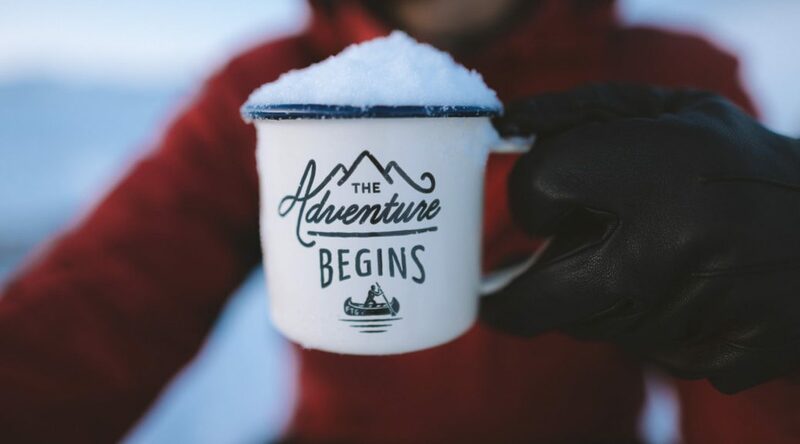 You will probably only need the shell if you plan on hiking or camping in very cold conditions, or if you suffer from poor insulation or Raynaud’s. Remember that mitts will keep you warmer than gloves because when your fingers are close together they can share body heat much more effectively. These gloves are expensive but they are the cream of the crop. Recommended by nearly every outdoor gear reviewer, you can be sure that you are purchasing a quality piece of gear. The Gore-Tex membrane is both waterproof and breathable, the removable insulating liner is fantastic at wicking moisture away. You could likely get away with only using these gloves and forgetting the whole 3-layer system in all but the most extreme conditions. They also have a mitt version for a ridiculous amount of warmth! You can find bargain prices for specific sizes on Amazon, and save some money if the size is right. Otherwise, purchase on REI or Moosejaw for a nice bonus in reward dollars. This mitt is comparable to the Alti mitt but for quite a bit cheaper. It’s waterproof and has a removable insulating glove. The removable mitt is split-finger with a separation between your pointer finger and the rest of your fingers, so you can remove the shell to get some more dexterity without completely exposing your fingers to the elements. I didn’t find any difference in prices between retailers, but again, Moosejaw and REI both offer reward dollars on your purchase. Pay attention to sizing: The last thing you want it to try to shove your hands into gloves that are too small to accommodate your layers. This will restrict blood flow and circulation and just make you colder than before. Your liner should be the size of your hand, your insulating layer one size bigger, and you shell one size bigger than that. Dexterity: Think about what you will want to be able to do while wearing your gloves, and how cold will it be while you are doing them. Do you need to set up a tent wearing all three layers of gloves? Tie a knot? Use an ice ax? Whatever you do be sure you can open your water bottle. Hand warmers: Some gloves come with built-in pockets for those amazing little chemical heat packs. These can be life savers for those who just can’t get their hands warm or can’t put hands in pockets due to ski poles, trekking poles, balance etc. If you don’t get a glove with a pocket, just put the hand warmer right into your glove between the liner and the other layers. Waterproof is a bit of a misnomer: In extremely wet circumstances, almost any glove is going to get wet eventually. Be prepared with multiple liners and insulating gloves if you think you’re going to need them. (You will almost certainly need extra liners.) If you’re on a multi-day hike, you can dry your gloves each night by placing them on your torso, underneath your clothing layers, as you sleep. Only try this if you are able to sleep nice and toasty. If you are struggling to stay warm through the night, using your precious body heat to dry your gloves is not a good idea! Don’t lose your gloves! Very high-quality gloves can also be very expensive. A simple yet brilliant trick to keep your gloves from falling by the wayside is to put them on a string that runs up through your coat sleeve and out the other. If you think it’s silly, just wait until you drop one of your $100 gloves and don’t notice until it’s too late. You’ll wish you’d done it. Leave a comment below: Do you own any of these gloves? Please leave us your opinion’s and recommendations below. And, as always, if you have a question, concern, or a good joke (preferably one about gloves, let’s keep to the theme here people) please leave a comment, as well. As winter is already here gloves are really important for us. Especially I live in Saskatchewan it is really worse this year. This article has some great gloves, to be honest. I am actually surprised about the price, it is a lot cheaper than I thought it would be. I like the Sealskinz waterproof all season glove the most in this article. I like the design and also how it is waterproof and windproof. I will probably go with this. Hello! I tried to include gloves from a variety of price ranges to allow people of different budgets to find what they need. I’m glad you seemed to find the right pair for you! Come back and let us know what you think of them after you purchase and try them out. I’m glad this article could be of help to you! I’m not a hiker myself as you know, but I have a good friend who is. Now I know that when you go hiking you need good gloves for quite different matters, even movies show you that. I know my buddy, he thinks about many things but usually forgets something, and I wouldn’t be surprised that one day he forgets about gloves. What I will do is show him this post and see what he says about it. Awesome job looking out for your friend. I hope he will enjoy the article as well. This is a great write up! I don’t personally own any of these brands, but I have many other hiking friends that rant about any of the Black Diamond gloves. I love my arctic mittens from L.L. Bean and they have proven to be the toastiest, I’ve never had to wear hand warmers and they are bright blue (color totally matters!). Love your website, can’t wait to read through more of your posts! –Ciara, and fellow outdoor enthusiast! I love fun colors as well! I’m glad you have a pair of gloves that work for you! You really give excellent advice here. It truly would never have occurred to me to wear more than one pair of gloves, let alone to be so specific. But of course, now that you mention it, I really do see the point. Your glove selection appears to cover all bases, and I shall certainly be following your excellent advice in the future. One question. are the sealskinz gloves actually made from real seal skins, because I would not want to wear animal skins as a general rule. Good question Chrissie. And the answer is no. I would not endorse any product made from seal skin. The Sealskinz gloves are made of 100% synthetic materials like polyester and nylon. Sealskinz is the name of the brand and is a testament to the waterproof quality of the glove. Mariah, my winter hiking and skiing days are well over but having done both I can testify that your article is spot on. We did exactly this to keep our hands from freezing and reasonably warm. It’s just now, with all the specially produced gear, that choice is much more. My hands were kept warm with one lightweight wool set of gloves, a second medium set of wool gloves and a set of leather mitts. It would have been great to have the extended range that you note here in your article. But at least we were on the same track. Where I live now, this system isn’t required as we have few frosts and about one good snowfall every couple of years! My alpaca gloves are all I need! I do have a set of leather ones as alpaca tends to slip on the steering wheel. Reading about these gloves almost inspires me to go to the nearest snowfield. Note I did say almost – haven’t got there yet. You have written a great and informative article that many winter people will get much benefit from. I appreciate you including your personal experience with gloves! It helps beginners when they can hear things from multiple sources. Thanks for providing this detailed information. I have read through and not only have I learned to some of the best gloves for hiking but have also gotten to know the glove system especially good to know that there is the liner glove (wicking layer), an insulating layer, and an overmitt or shell layer. 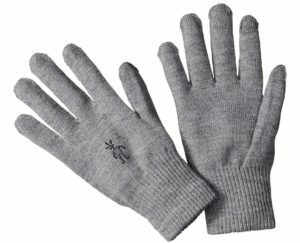 Personally, I think I’m going to try out the Smartwool liner gloves I don’t like heavy gloves. But please would like to know if they come in other colors? 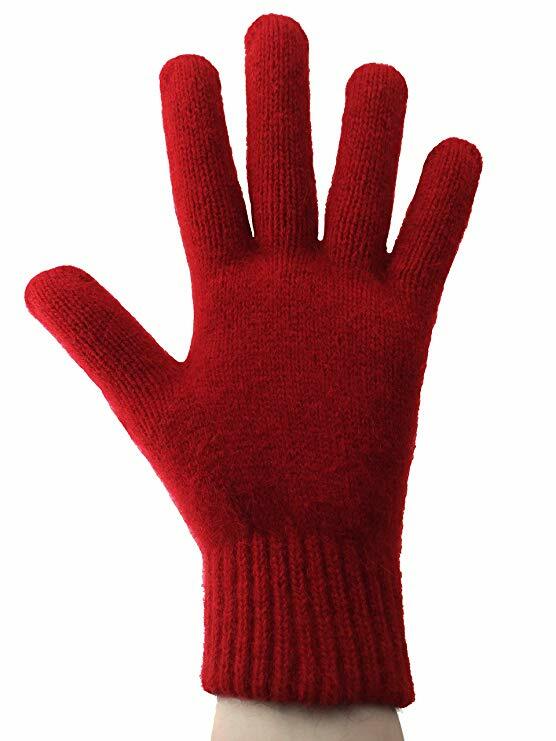 Yes, the Smart Wool gloves come in 4 different colors! Glad you learned a lot, Joe! If you’re interested, please check out the other articles on my site. You may also enjoy this article. I’ve been to some football games and it was in Pittsburgh. It was a Steelers game and it was around January. As a matter of fact, early January, it was a cold night. There was a lot fans wearing hand warmers. Which one do think is more suitable for an environment like that, hand warmers or Liner gloves? Hi Oshea. Hand warmers are the small chemical heat packs that help you warm up your hands. You can use them in conjunction with any glove! So, you could wear liner gloves and also take along a few hand warmers ready to activate in case you need them. Hand warmers are quite cheap and very useful. Mariah, Excellent website! The information you have is spot on for the hiking and backpacking community. Brings back memories of my hiking days. I live near Denver, Colorado and the Front Range offers a myriad of hiking trails just waiting for whatever level hiker happens onto them. My favorite hike of all time was the hike to the top of Longs Peak. About a 14 hour round trip from parking lot to parking lot. For the experienced hiker, this is a good once-a-summer hike, but is only safe during late July through August. The two factors that limit the time frame are the ice sheets on the back side of the trail above the “Keyhole” and the late summer storms that are fierce over 14,000 ft. You don’t want to get caught in one on a day hike. Hey good luck with this site, It’s well done and very appealing, I’ll be passing this along to my hiking friends! Colorado is certainly a hiker’s Mecca! Thanks for the endorsement. I hope your friends enjoy the site as well! Great article. I live in Arizona these days but was raised in Upstate NY where it gets very cold. Although i no longer need gloves because I live in Pheonix so it doesn’t really get cold enough. I still know how important glove layers are. Nothing is worse than being out and having wet gloves in the freezing cold! You have provided lots of value in this article and great recommendations! I suggest anyone that needs gloves for their chilly fingers take a look at the different suggestions in this post! I have found that your review about best Gloves for winter hiking is very informative and useful for everybody. Though I have no experience for winter hiking. I am planning to buy a pair of hand warmer gloves in this winter season. Is it possible to get one of those within $50? What is your suggestion for me? I am going to bookmark your article for future use. Thanks for sharing this important review. Hi! 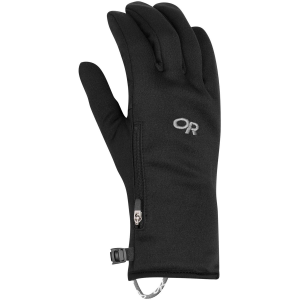 It may be difficult to find a quality pair of gloves with a hand warmer pocket for under $50. However, there are a few from unknown brands on Amazon. Though I have not personally tried out this glove by NAVESTAR, after reviewing the specs it seems to check all the boxes for what you are looking for. And the price is excellent so you may want to give it a try. What a comprehensive article! I like the Smartwool and the fleece models. The Alti gloves are OK, but for me are not suitable for hiking. They are too bulky and I like to feel the grip of things.The waterproof is a feature which I like a glove of this kind to have. I like your suggestion on putting the gloves on a string. Actually, this the method used by my grandmother because I was always losing my gloves. Yes, it’s important to take into account the expected lowest temperature of the area you will be hiking in. For a single day hike in an area that won’t get too cold, you likely will never need a bulky over mitt. However, if you’re heading out on a multi-day trip you might do well to bring a bulky waterproof glove with you. Even if you don’t use it while hiking you may need it when you are relaxing at camp because your fingers will grow much colder when you are no longer exerting yourself. The Gore-Tex membrane really sounds the best and I really would love to buy it as I am always exposed to changing climatic conditions when I am hiking. My question would be, is it easy for it to be cut maybe after having a grip on a sharp stone or rock? It really is the best indeed. Hi there! Are you asking about the Outdoor Research Alti Gloves? They are quite durable and the palms are reinforced with grippy material to avoid cuts from rocks. Hello and thank you for this informative article. I really enjoyed reading it. I am going on vacation very soon and I am getting ready. Finished buying my new ski suit and snowboard, the only thing left to buy is the gloves. I prefer complete protection because I like to hike on the mountain and I need waterproof gloves. 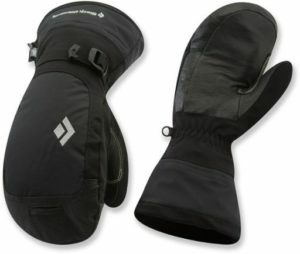 That is why I think I will go with the Black Diamond Mercury Mitt. Hi! The Mercury Mitt will definitely give you a lot of warmth! Consider also purchasing a liner to go with it. That way if the Mercury Mitt’s are occasionally too warm you can remove them and rely on a thinner glove to do the trick. Hi! Yes, this is really a tricky topic. And I also know that it’s so important to be prepared. I usually suffer more than most people around me during winter because I’m not used to cold weather. I come from tropical climate and winters are terrible for me. But being prepared involves having this glove system you mention. I have taken note of everything you have outlined here. And will immediately put into practice. Thank you also for these tips concerning paying attention to sizing. And also this very simple but important tip about putting our gloves on a string that runs up through our coat sleeve and out the other. Thank you very much! Hi Henry! I’m glad this article helped you out. I can personally attest that if you have a great glove system, your fingers will never be cold no matter how unused to the weather you may be. This article is so timely for me as I’ve just moved from Florida to Tennessee, and my hands are suffering! Besides hiking, I walk my dog twice daily using a leash and walking stick so really need protection all the time. Thank you so much for this super-helpful article. Now I know what I’m looking for….LAYERS!! Hi Cheri! Layers will work wonders for you! Try it out and you will see an immediate difference.